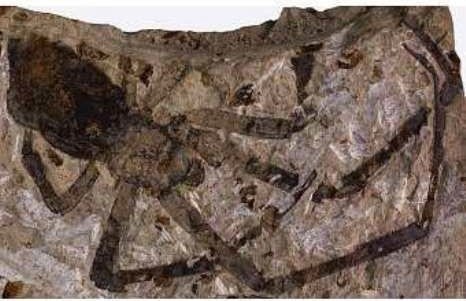 Scientists previously unearth a fossil of the largest spider known to man, a female of an extinct and unknown species of spider that died buried in volcanic ash when the dinosaurs still walked the Earth. discovery comes with a slight hitch, complicating the initial interpretation of the extinct spider species. 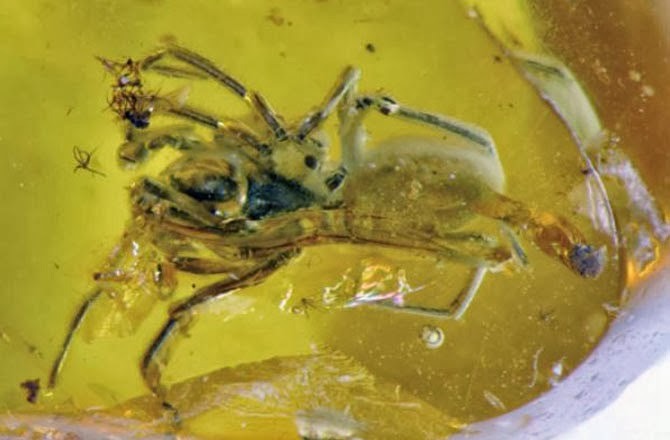 The newly discovered extinct spider has been given a new genus—Mongolarachne—by the scientists. On the other hand, when scientists found the extinct female spider in China, it was given the name Nephila jurassica, lumping it in the same genus as the currently living golden silk orb-weavers, spiders large enough to catch and feed upon birds and bats with their large webs. According to University of Kansas palaeontologist Paul Selden, the female spider was so similar to the modern golden orb weaver that they couldn’t find a reason not to place the extinct critter in the same genus. Spiders, which have soft bodies are poor candidates for fossilization, but there are instances when they can be preserved in the rock. 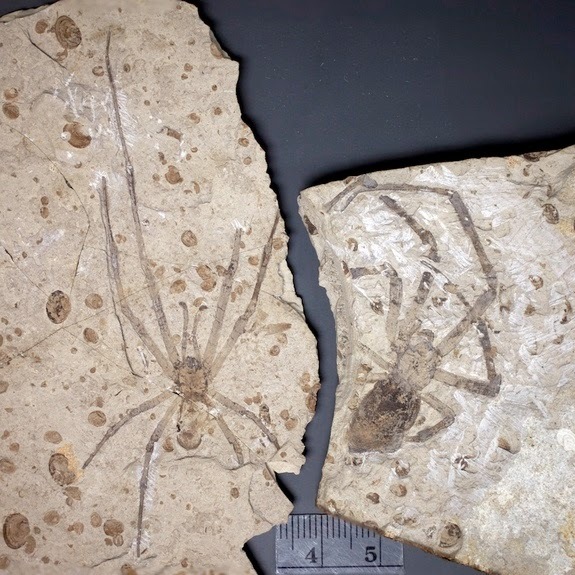 Volcanic deposits, for example, have turned up hundreds of spiders, such as those found at the Daohugou fossil beds in Inner Mongolia. It was here that Selden and a team of researchers discovered another extinct spider, this time a male, that looked very alike to Nephila jurassica. However, clues in the newly discovered fossil show that the extinct arachnid just didn’t belong in the genus Nephila. The first telltale sign was size. In modern golden silk orb-weavers, males are smaller than females. The extinct arachnid on the other hand, was similar in size to Jurassica. Read the full story on Discovery News.